Home Business Ideas – 3 Home Businesses That You Can Start Today! In this article Mark Ford shares with you 3 home business ideas that you can start very easily and for very low cost. 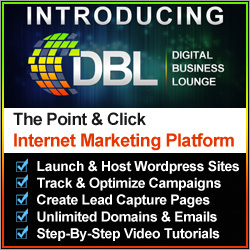 Is it safe to assume that by landing on this webpage you are looking for some home business ideas? Yes, then read on to learn more. I am a very experienced home business coach and I have come across lots of different home business models over the last few years, some really good and some not so. If you are struggling to think of some home business ideas I thought it would really help you if I share with you some some really good home business models. The business models I am going to reveal can be started really quickly, even today, and do not break the bank, which I know is really important when you are starting a home business. If you are very creative and can produce amazing designs then you can sell them to other people, or you could put your designs onto physical products and sell through them e-commerce platforms. First we will look at how you can put your designs on a variety of different physical products. There are many print on demand websites that allow you to upload your designs that can be printed onto items such as t-shirts, mugs, canvas prints, pillows, shoes, towels, the list goes on and on. You can then connect your designs to platforms like Shopify and create your own online store. When someone buys one of you products the order is automatically sent to the print company who produce your item and then ship it to your customer. It is a seemless and automated process. There are many print on demand companies but a coupe to look at would be Printful & Allover Print. If you don’t want to sell your own products you can upload your designs and photographs to stock image websites. On these sites individuals can browse through your designs and purchase them for use on their own products and services. You will get paid every time your design is downloaded and you can set restrictions on how the designs and images can be used. For certain projects like print on demand you can charge more for what is called an extended licence as the image will be used for commercial gain. If you are a specialist in a particular field or industry then you can package your experience and knowledge into a online training course. E-learning is a booming industry and there is huge demand for online courses. Usually these types of courses will be offered in video format but they can also include downloadable PDF’s and audio files. You can create power-point presentations and turn them into video format using video editing software and then upload them to websites like Udemy. Udemy is an online marketplace for educational courses and they handle all the payment and delivery of your courses. People purchase your content and at the end of each month Udemy send the money to your bank account minus their fees. Udemy also have an active affiliate program where other people can market your course and then receive a commission when they sell it. Affiliate marketing is a favourite of mine and one that I have been very successful at. Affiliate marketing is where you promote other peoples products and services like what I mentioned when I referenced Udemy. Basically it is your task to connect potential buyers to products that they are interested in, in other words you are the middle person. 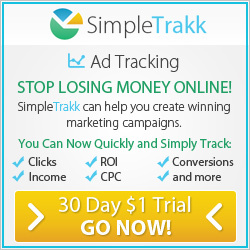 There are many affiliate programs to join. 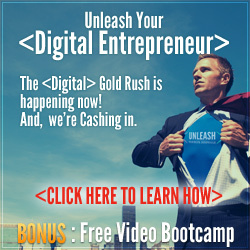 Some are free and some command an investment especially if you are leveraging a digital business system that they offer. When you join you will receive lots of resources to help you promote the products and services they offer. This can be in the form of an affiliate link which is a web URL that contains your affiliate details so it can be tracked back to you when you make an affiliate sale. Also you will have access to banners to advertise and with the more advanced affiliate programs you will have custom sales funnels. These combine lead generation pages which are connected to sales pages that makes the sales process completely automated. One tip I will give you is to look for programs that offer complete training and mentoring programs. This will drastically reduce your learning curve and ultimately save you money in the long term. My recommended affiliate marketing program is called the Six Figure Mentors and you can learn more by clicking the banner below. In this article I have shared 3 home business ideas for you to look into. 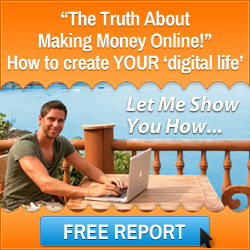 All of them offer fantastic potential to make a full time income working from home. If you would like any more information on these business models then please contact me here. This entry was posted in Home Based Business and tagged home business ideas, home business opportunities, make money from home, mark ford. Bookmark the permalink.